kgfantasy has started a donation pool! We appreciate any point donations, even if it's just one point! We'll be happy if you consider supporting us on Patreon! 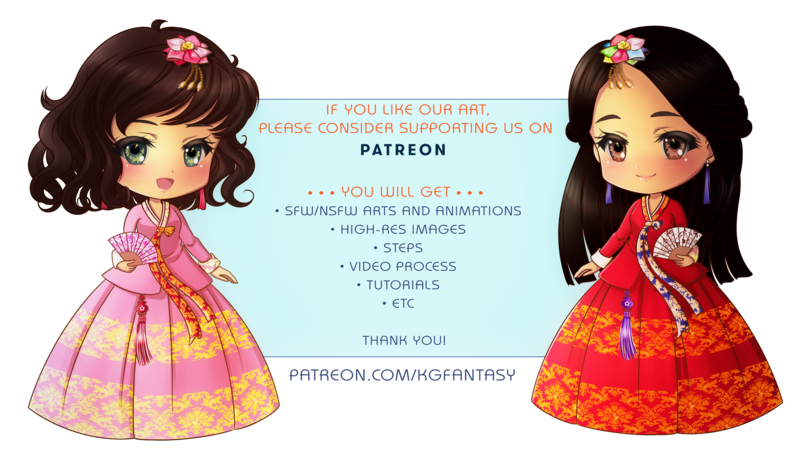 We are creating Illustrations, Animations, Tutorials, NSFW stuff and more goodies for you! Your support is very important for us!!! The life is getting more and more complicated, and it's difficult to find enough time for art lately. We had lots of plans related to drawing, such as Fan Art series, Web Comic, etc... Unfortunately, we have to consider about giving up on art seriosly. ...but with your support, we will not give up on drawing! STARTING FROM JANUARY, 2019 WE WILL INCLUDE ALL BEST WORKS FROM PREVIOUS YEARS TO NEW PACKS! Many thanks to Daggerhammer for supporting Freddie We bought some vitamines for his fur. And of course thanks for everyone for your prayers, patience and kindness We love you all. Please don't thank us for a llama/watch/fav! You're always welcome! Instead of this, we'd be happy to receive comments to our artworks/watch/fav or subscpirion to our other accouns! Glad to hear. I have 3 dogs and one cat, and they mean a lot to me and my family. I have no problem waiting a little longer for my commission so Freddie can be better. Speaking of that, do you have a idea when you shall be starting on it? Forgive me for asking, please don't think I'm rushing you. All the best to lil Freddie. We will start it soon, please wait a sketch within 2 weeks Thanks for your patience! !